Babelkid - Raising Multilingual Children: Arabic Lessons Are Go! 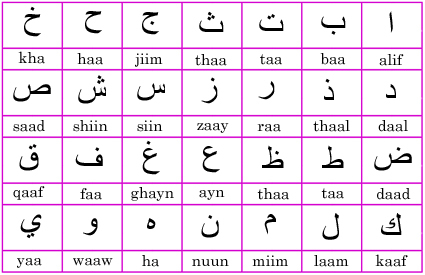 BK1 and BK2 started Arabic lessons on Saturday! 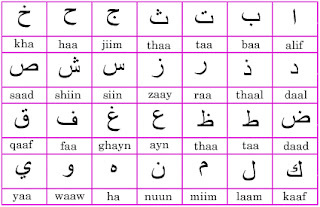 I have been teaching the girls how to read and write in Arabic at home, for a few years now. We've achieved some success in that BK1 (11 years old) can decipher words and spell them. BK2 (8 years old) can do the same with simple, familiar words. However, it's been a struggle. We haven't been able to do it regularly enough. Now, with weekly classes, it's an hour and a half where they'll only listen to and speak in Arabic. The face BK2 made when the teacher spoke to her was just a sight. She was like: Whaaaat?Absolutely hilarious! See, not only did the teacher speak in Classical Arabic, but she used her dialect and regional accent. The teacher is from Iraq - she looked so sad when she told me. The other kids' parents are from Morroco, Eritrea, Sudan, Tunisia. Some of them speak Arabic at home, some only know German. I am hoping they enjoy the classes!